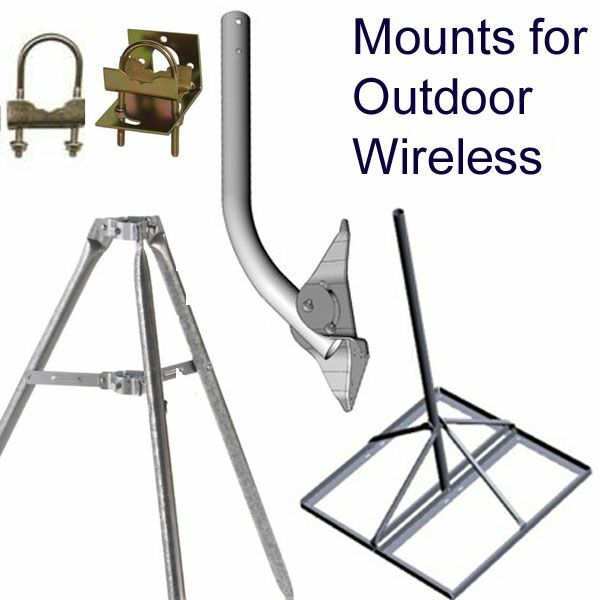 5-FOOT Tripod Slope Roof Mount with heavy duty mount of 16 gauges, for sloped roof. 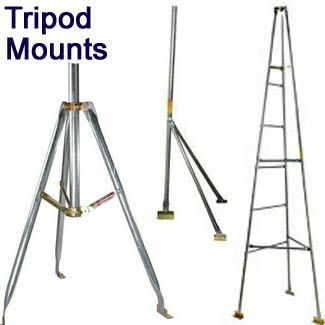 The "adjustable feet" of this 5-FT tripod have 3 holes per foot for lag-bolts, so that a total of 9 lag screws/bolts are needed per tripod. 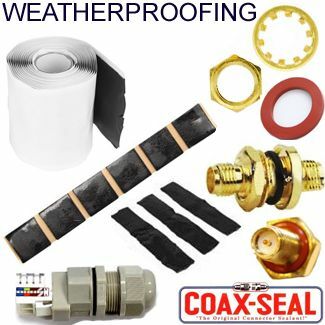 You should install lag-bolts in all three holes per foot to ensure that this tripod will survive wind in storms. 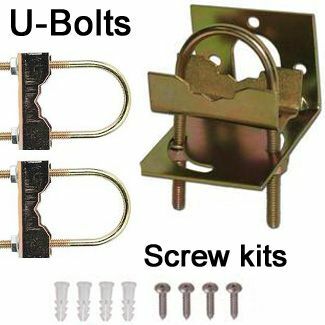 The pitch pad kit with lag-screws/bolts that we offer above comes with 6 lag-bolts, so you will want to consider purchasing more than one pitch pad kit per tripod, to ensure that you will have enough lag-bolts. 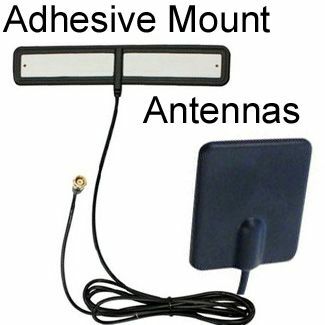 These kits are $2.10 each. 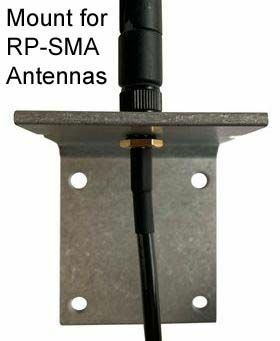 Ideal for WiFi antennas, wireless CPE, and UHF-VHF antennas. 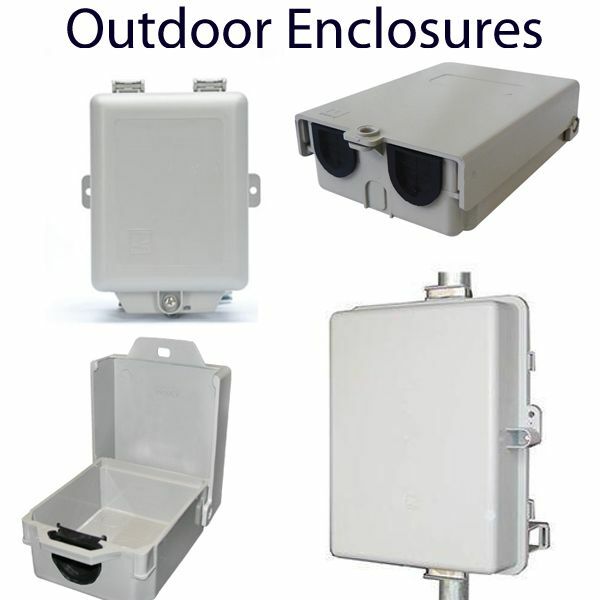 Can be installed on roof slope or peak: Conforms to almost any roof slope. 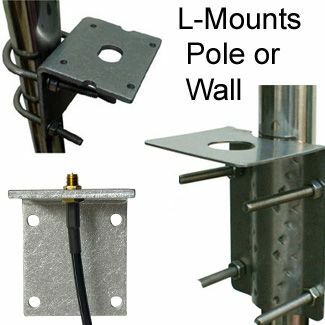 This is a three-piece set that is easy to install: There is a bolt almost at the middle of the mast (longest leg) where you attach the other 2 smaller legs to make the tripod. 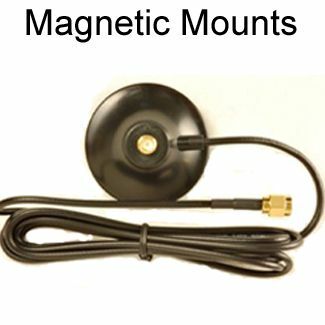 The 28-inch mast that we sell does not fit this tripod. One size doesn't fit all, but still okay. 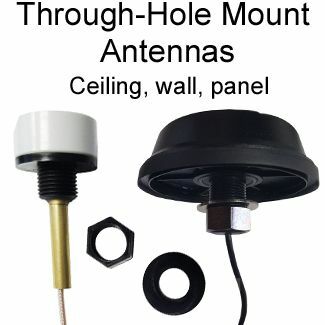 This mount is tubular aluminum, and for some reason they didn't close the top of the main mast pole, leaving it open to the elements, without any means of drainage. The two shorter legs needed to have the bottoms where the flex feet area attached bent with a pliers in order to get the mount to meet the specific pitch of my roof. Time will tell how durable it is. With that said, Data-Alliance was super fast with the shipping, and great with communication through the whole process.